In today’s world of Home Entertainment furniture or seating, many families are opting for sectionals and group seating. The reason being, that the dedicated theater room, is becoming less of a common feature in the average home. Unless you are building a new home, remodeling your existing home or converting a spare or empty bedroom, the family room or den are becoming the central entertainment room. The difficulty here to to fit the desire effect of seating, surround sound, added equipment and being able to layout the room for optimal viewing and sound. The biggest problem, is most of the old traditional furniture manufacturers have always built this type of seating for a low budget consumers and sacrifice quality for price. These high traffic sectionals are used for hours on end and are the only place for the family to gather and enjoy, movies, sporting events, concerts, gaming, etc. While the price may seem attractive, the quality is sacrificed. Many of these “L” shaped or “U” shaped groups may consist of 7-10 or more seat locations. When you divide the per seat cost into these $799-$999 groups, you are spending less than $100 per seat at retail! Now take into considerations, the multiple layers of distribution, manufacturing, shipping, sales commission, advertising, etc., you come down to about $40 to $50, maybe, in material cost per seat! How long do you think a $40 chair will last? That might be why you get a 90 day warranty! Now, a year or so down the road you are shopping again for a home theater sectional or recliners, spending another $1000 and doing it all over again… Sorry, but that is the reality of buying junk! The internet has become the portal for most thing made off shore, as cheaply and poorly as possible to meet the demand for LOW PRICE! 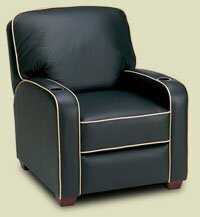 Hidden among the crowded category of internet search words such as; Home Theater Seating, Home Theater Sectionals, Home Theater recliners, etc., of paid advertisers, and Big Box or discount sellers, or those who purchased the old brand names from an era long past, you will find a few gems, offering world class furniture. I can think of three that live in this crowded web and have years of experience and talent, but you must search. Don’t be quick to select the top few, who pay fr that position, or those you even live on page one. 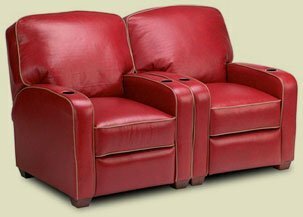 Premiere Home Theater Seating has, for over 20 years, made an effort to make the find of furniture you used to enjoy from American companies with pride of workmanship, and standing behind their products for years and years. You must drill past page one and peruse many site before settling for the first one you click on. I write this to ask you to do your homework, I know it is difficult to sit in the furniture you really want to own. That may be the number one question we receive at PremiereHTS, “Where can I sit in your chairs?” Over the years, the small independent retailers who specialized in the best, have either retired, been driven out of business by cheap, no service Box Stores and the internet. The local hardware stores, grocery stores, drug stores we all grew up with are gone. The same is true of your local stereo store or Home Theater Expert. Most have gone underground, trying to use the internet to tell their story. The one thing you can rely on, check for references, customers who have worked with them, and rave about their experience. Ask for references, most will be more than happy to supply a clientele list of repeat customers.